Teaching our kids how to love themselves and disregard the judgments of their peers is a HUGE challenge. My oldest daughter is only four years old and I already see it happening. It is crazy to think that this behavior almost seems inherent. So how do we teach our kids that these judgments and the opinions of others should not hold merit on their own self-worth? As a girl mom, I think I worry about this mostly because of my own experience. Girls and women can be harsh, judgmental and outright mean to each other. How do we teach our kids to ignore judgment when we ourselves are still figuring it all out? I try hard to be myself and not let others' opinions of me affect how I view myself. 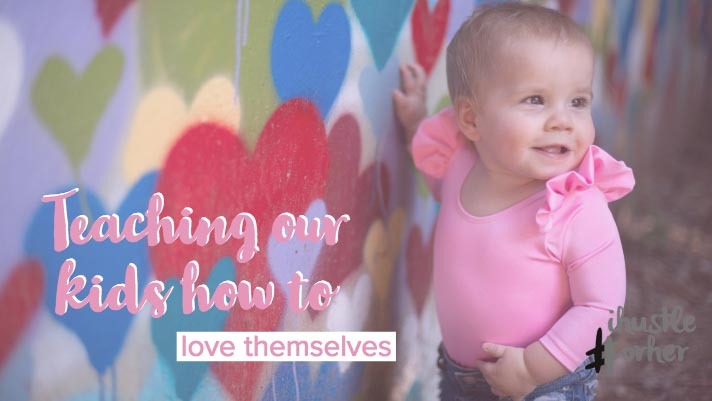 My hope is that my self-confidence will rub off on my girls, so they can learn to be proud of who they are and not ashamed of how others see them. Raising tiny humans can be hard, but I know if I strive to be the best version of myself my children will follow suit. 11 Kid Friendly Things To Do in Atlanta for Halloween 2018.